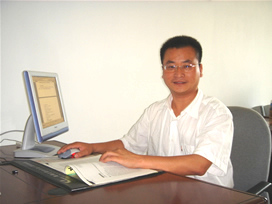 Legal Adviser - TODAYNIC.COM, INC.
Wang Shuyi, male, graduated from the Law Faculty of Jilin University. Wang started his career as a solicitor in 1998 and has eight years of actual combat experience in the law profession. He worked as a legal counsel for the 13th Railway Bureau Group Construction Company of China, Changchun WAN Xin Real Estate Development Co., Ltd., Zhuhai 9th National Express Cargo Ltd., Zhuhai Weifa Industry & Trading Company, Zhuhai Dongri Engineering Services Co., Ltd, Zhuhai Plant of Lianjiang Construction Corporation, Todaynic.com, Inc.Co., Ltd. and for dozens of other companies, with more than 200 favorable cases. Wang is especially good at handling difficult and complex disputes and unexpected incidents. With excellence ability to resolve the crisis and rigorous thinking, Wang often employs innovative methods and original insights in solving clients' difficulties,seeking to maximize the interests of customers. He also has accumulated profound experience and unique understanding of dealing with cases about criminal defense, contract, debt, financial security, real estate, intellectual property, maritime affairs, compensation, enterprise restructuring and mergers and acquisitions, corproation legal services, commercial negotiations with defendants as well as non-litigation law services. He has gained much pratical experience as a legal counsel for many real estate development companies, construction companies and property companies.. One of his core business services is to provide a complete system for real estate development projects.Customers are assured of the lawyer's capital for his prime of life, his spirit of being highly responsible for work, his deep understanding about the law and great actual combat experience. Purpose of service: Always try his best to maximize the legitimate rights of the customers and ro minimize their losses.